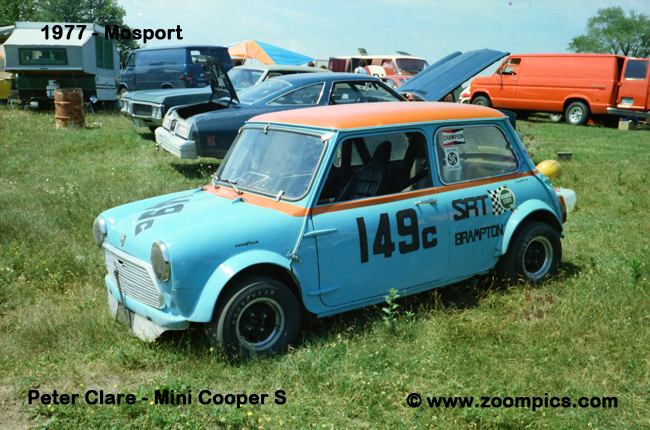 With the closure of Harewood Acres in 1970 Ontario Region sports car clubs only had one venue to hold amateur road races - which was Mosport. In 1976, a new track opened east of Belleville. The facility was built by John Nelson and called Nelson International Raceway. The first race event was for motorcycles in October 1976. The following year Ontario amateur sports car racers competed at this venue and since then it has been one of two choices for Canadian Automobile Sport Clubs to hold events. In the Fall of 1978, Nelson sold the track to Jack Boxstrom and it was renamed Shannonville Motorsport Park. Below are images from Mosport and Nelson International Raceway during the 1977 Canadian Automobile Sport Clubs - Ontario Region season.